We have once treated a female patient who suffered from nodular goiter. As we all know， many women who suffer from nodular goiter will see a doctor only when they find their neck swollen. 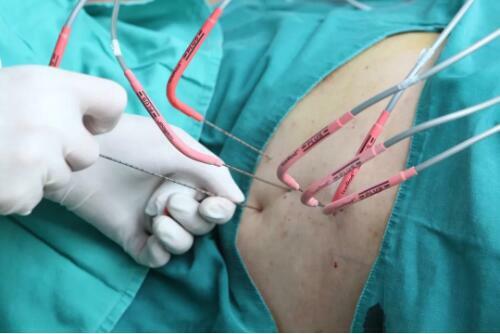 In this situation， the conventional treatment is surgical resection. Generally speaking， surgery is a nice choice， but the problem is that many young women are not willing to leave a noticeable scar on their neck after surgery， which affects their beauty. 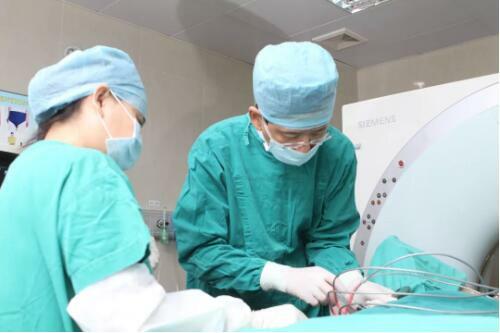 Therefore， many patients refused surgery and allowed the tumor to grow. 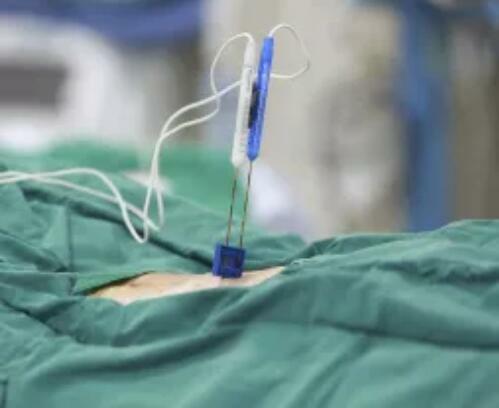 We would like to introduce a new technology， radiofrequency ablation (RFA)which burns the tumor to death without skin incision， so no need to worry forthe scar. Why not use cryosurgery here？ Because the position of the thyroid is special， we have to avoid hurting the surrounding nerves， esophagus， trachea and other tissues. That's how RFA works. 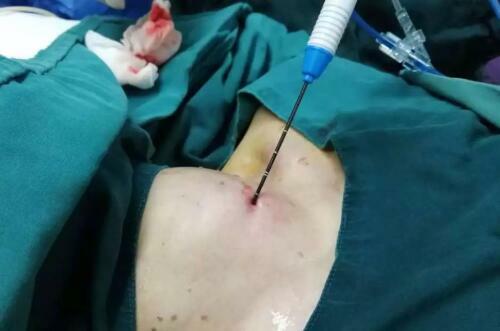 During RFA， the needle is very small， causing a small area of burning in an effective way to avoid damage to the surrounding areas， while during cryosurgery， the needle is bigger for this special area， which is less effective than that of RFA. RFA is currently used in liver cancer， featuring rapidity， short ablation time and larger ablation range， and it does not affect platelets， so it is widely used in clinically， especially for liver cancer. We have once treated a lung cancer patient who had lymph node metastasis. After chemotherapy, metastasis disappeared while the lung tumor remained the same size. For lung cancer patients who don’t respond to chemo drugs and cannot undergo surgery, cryosurgical ablation (CSA) is a better choice. 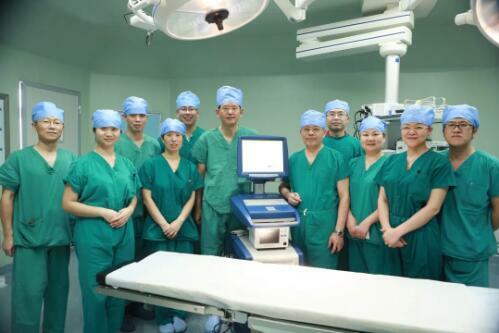 Prof. Niu Lizhi said CSA was a procedure that froze the tumor to death under low temperature. During the procedure, cryoprobes are inserted to tumor under the guidance of imaging tools. We can clearly see the range of tumor, the formation of iceball and tumor necrosis. CSA is an appropriate method to treat lung cancer because it causes less harm to central-type lung cancer. In addition, when CSA is performed near the chest wall, it will cause less pain while freezing the tumor to death. At the same time, it will not cause pulmonary cavity like RFA does. Therefore, CSA is an effective and suitable treatment for lung cancer. Furthermore， CSA is also applied to prostate cancer and kidney cancer. In summary， it’s more effective to the tumors with ducts. In terms of pancreatic cancer, CSA and RFA are less favorable choices because pancreas has rich pancreatic ducts and bile ducts and NanoKnife ablation is the only recommendation suggested by FDA. Frankly speaking, Irreversible electroporation (NanoKnife ablation) is the best choice for pancreatic cancer and hilar cholangiocarcinoma (HCCA). The special feature of pancreatic cancer and HCCA is that blood vessels， bile ducts， and pancreatic ducts are intertwined with these tumors. The puncture needles of RFA and CSA are thick so these two treatments are not appropriate for these tumors while NanoKnife is a better treatment which has two characteristics. First， the nano-probe is very thin， and even if it punctures into blood vessels and pancreatic duct， it will not cause bleeding. Secondly， NanoKnife is not cold or hot， so it does not damage blood vessels and pancreatic duct， but can cause necrosis of tumor cells without destroying the overall structure in ablation areas. Therefore， currently NanoKnife is the most suitable ablation method for pancreatic cancer and HCCA. With the development of oncology medicine， new technologies and new treatments have emerged. Some previously incurable diseases have gradually become chronic diseases. RFA， CSA and NanoKnife are three new technologies with significant efficacy， which will help more and more patients in the future.